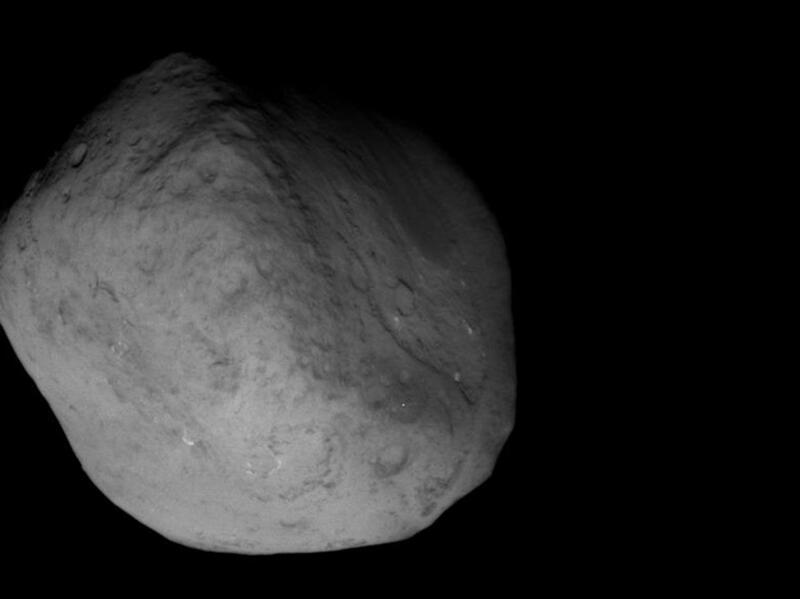 As mentioned previously, NASA’s Stardust spacecraft completed its journey and close approach of comet Tempel 1. As Stardust approached Tempel 1, it began snapping images;61 out of the 72 have been released at this point. After passing its point of closest approach, it turned to face the comet to image the comet as it shrinks back into the distance. The Planetary Blog has a bunch of great information on the Tempel 1 encounter, and so much more; I recommend reading it on a regular basis. So, what about that impact crater made by Deep Impact in 2005? Well, that crater is visible and recognized in some of the images that Stardust grabbed. You can check out this page to view some before-and-after images as well as other highlights of the recent fly-by. To my untrained eye, I even have a hard time noticing it when it’s pointed out to me. I’m sure skilled observers see a lot more than myself and further data will be used to better represent what we’ve learned from these new images. Mission managers have called Stardust-NExT (New Exploration of comet Tempel) a 100% success, and for now, Stardust sails off on its orbit. I anxiously await to see what it might be called upon to do next! Tagged comet, Deep Impact, exploration, NASA, Stardust, Tempel.